As the first global initiative proposed by China, the Belt and Road Initiative (BRI) s a striking example of the country’s new diplomatic concepts of promoting global development and governance, and maps out new routes and focus of future cooperation between China and Africa. Since the BRI was announced in 2013, it has propelled China-Africa cooperation in terms of breadth and depth toward a new historical period. Second, cooperation has been pushed ahead steadily along mapped-out routes. The Beijing Declaration — Toward an Even Stronger China-Africa Community with a Shared Future, the FOCAC Beijing Action Plan (2019-2021) and the eight major initiatives China implements with African countries have provided new road maps for bilateral cooperation. The two sides also signed nearly 150 cooperation-related protocols. Third, China-Africa cooperation has been strengthened across the board. With ongoing expansion of the initiative, it has seen tangible progresses. 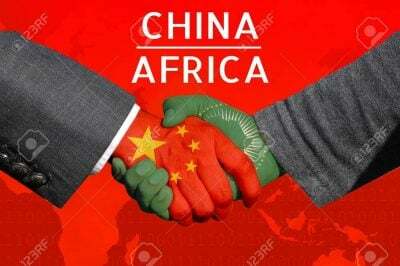 China has been Africa’s largest trading partner for 10 consecutive years. In 2018, trade between the two sides reached a record high of $203.54 billion, in which China’s imports from Africa were $98.97 billion and its exports to Africa reached $104.57 billion. China’s trade with Africa rose by 16.4 percent year on year with imports and exports rising by 27.3 percent and 7.7 percent respectively, both much higher than the growth of the country’s overall foreign trade during the same period. From January to October 2018, China’s investment in non-financial areas in Africa was $2.463 billion, a year-on-year increase of 4 percent. The value of newly signed project contracts between two sides reached $59.8 billion, up 19 percent year on year. Infrastructure construction projects such as the Mombasa–Nairobi Standard Gauge Railway and the Karuma Hydroelectric Power Station have brought considerable economic benefits to local people. In other areas such as finance, China-Africa cooperation has also been advanced such as signing a memorandum on funding infrastructure construction in Africa. The vitality of Africa’s economy is being unleashed as the continent is expected to become a key area in the next wave of industrialization in the world. With abundant natural resources, Africa also enjoys a young labor forces and it is projected that the number of African workers will surpass those of China and India by 2034. Meanwhile, accelerating urbanization and increasing consumption have also made its economic growth prospects brighter. The Belt and Road blueprint has created favorable conditions for Africa to overcome difficulties facing its development and provide opportunities for further growth. The eight major initiatives lay great focus on the needs of African countries and aspirations of local people, highlighting that measures for cooperation need to be targeted and effective and projects should be inclusive and forward-looking. Apart from areas already bearing fruits, the initiatives have also explore new room for China-Africa cooperation: China will enhance vocational training for African talents, improve local security. Still, challenges facing the BRI cannot be ignored. First, the capacity of African countries in registering stable development needs to be improved. Although Africa has seen initial growth, issues such as regional conflicts, weak drivers of development, limited capacity of national governance and inadequate high-end talents are still blocking the promotion of the initiative. Second, the business environment in Africa needs further improvement. The initiative focusing on economic cooperation has posed urgent needs a favorable business environment, while problems still loom up in African countries because local laws and regulations that can attract and protect foreign investment are not yet full-fledged. Moreover, preferential policies and government services are not fully in place. Third, better international public opinion environment is needed. Currently, there are still groundless murmurs that the China-Africa cooperation can lead to a debt crisis, plunder of resources and dependence, attempting to drive a wedge between China and Africa and undermine the cooperation. Looking into to the future, China-Africa cooperation will continue to maintain sound momentum. Many African countries have expressed their intention of supporting and participating in the initiative. First, China will adhere to new concepts of China-Africa cooperation by maintaining sincere and friendly relations, treating African partners as equals, adhering to righteousness, pursuing people-centered development in a pragmatic and efficient manner and carrying forward openness and inclusiveness. It will not interfere in African countries’ affairs, impose its will on the countries, attach political conditions to assistance or seek political interests through investment and financing. Second, it will continue to promote cooperation through imrpoved policy-related exchanges. China will uphold the principles of achieving common benefits through consultation and collaboration, pursuing openness, transparency and inclusiveness as well as advocating green and sustainable development. By combining the BRI, the United Nations 2030 Agenda for Sustainable Development and the African Union Agenda 2063 with development strategies of African countries, China aims to achieve higher-level, complementary and common development with its African partners. Third, the initiative will be further implemented in Africa. China will work with African countries to launch the eight major initiatives including industrial promotion, facility connectivity, trade facilitation, green development, capacity building, health and hygiene, people-to-people exchanges and peace and security. Focusing on helping Africa to develop growth impetus, it will bolster China-Africa cooperation to a higher level by innovating relevant concepts and modes. Fourth, it will introduce third parties to strengthen cooperation with Africa. To propel cooperation which cannot be achieved by China alone, participation of third-party economies can be conducive. Fifth, it will make more efforts to improve the public opinion environment. China is willing to co-host exhibitions with Africa on achievements of cooperation under the BRI, which can improve the confidence of African countries in cooperating with China and resolve unfavorable international public opinions. Overall, China will continue to strive for more and better cooperation with Africa through tangible efforts to provide an exemplary case and contribute experiences to building a community of shared future. This article was originally published on China Watch. Wang Linggui is Senior Research Fellow, Executive Vice Chairman of the Board of Directors, and Secretary-General of the National Institute for Global Strategy, Chinese Academy of Social Sciences.